Monday night was pleasant. A lovely group from Ligura were waiting outside in the rain, under the awning, lamenting the weather before we opened. I brought them up to the terrace and they were delighted to be able to sit outside, protected from the rain. One lady said, “We’ve read such wonderful things about this place on internet,” while another admired the décor. It is so nice to see the expectation and anticipation on their faces when customers arrive via tripadvisor. So different to the circumspection and suspicion I’d come to expect in the early days, when we were not yet “established”. Tuesday was mayhem. One of those nights when customers just keep coming and coming. Even before 8pm a couple arrived. I’d gone over early to do some Siae forms, which never got done in the end. The waitress was still setting up things, stacking glasses at the bar. In came “the man from Torino” as I call him, with a ladyfriend. He comes each year in summertime to visit relatives. Tall and tanned, he teaches judo in Torino. He was discussing tables with the waitress when he spotted me. Effusive as ever, he regaled me with compliments, as I hadn’t seen him in a couple of years. He’s always delighted to see me, ever since the early days when no one liked me at PM. He was always “my” customer, even though it turned out that he was a distant relative of my husband. That was a lovely beginning to the night, but it just hot hotter and more hectic from then on. The waitress asked me to make a couple of Aperol Spritz cocktails as she doesn’t like making cocktails, while I asked her to get some draught beers as I haven’t had any practice on the new system we have, and I don’t to let the side down. A guy arrived claiming to be an old schoolfriend of my husband, thought he looked much older. He had some funghi porcini he wanted to give him, he said. 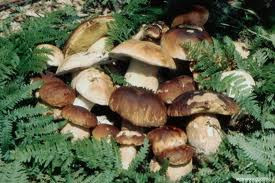 From the smell of him across the bar counter, I didn’t think it a good idea to buy anything off him, but my husband said he was a well-known mushroom gatherer. Next thing, they’re weighing the porcini mushrooms in the kitchen. I’ve never seen anything like it – they are beasts of mushrooms, the biggest and most I’ve ever seen. Fair play to them for finding them. Ours second cook, and resident mushroom expert, said he took his hat off to them, as he’d been looking for them all week and not found any. It must be the heat, together with the heavy rains that produces such magnificent shrooms.